Optical methods are now used routinely for the measurement of velocity, concentration, temperature, and other parameters in wide-ranging areas of industrial research and design such as IC engines, turbines, and combustors. Recent advances such as the use of high-resolution CCD cameras and the extension of flow mapping to three dimensions, make optical tools such as particle image velocimetry increasingly viable for use in the industrial environment. This excellent book presents new developments in optical diagnostic techniques in heat and fluid flow and offers an unparalleled opportunity for industrialists and academic researchers to exchange ideas. Automated fringe analysis for profilometric mass-transfer experiments. 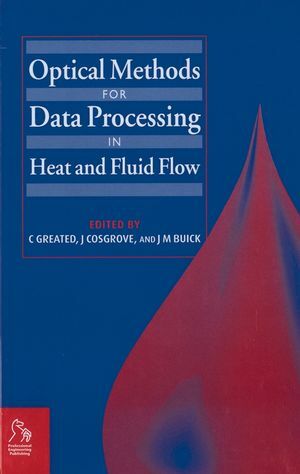 Clive Greated and John Cosgrove are the authors of Optical Methods for Data Processing in Heat and Fluid Flow, published by Wiley.